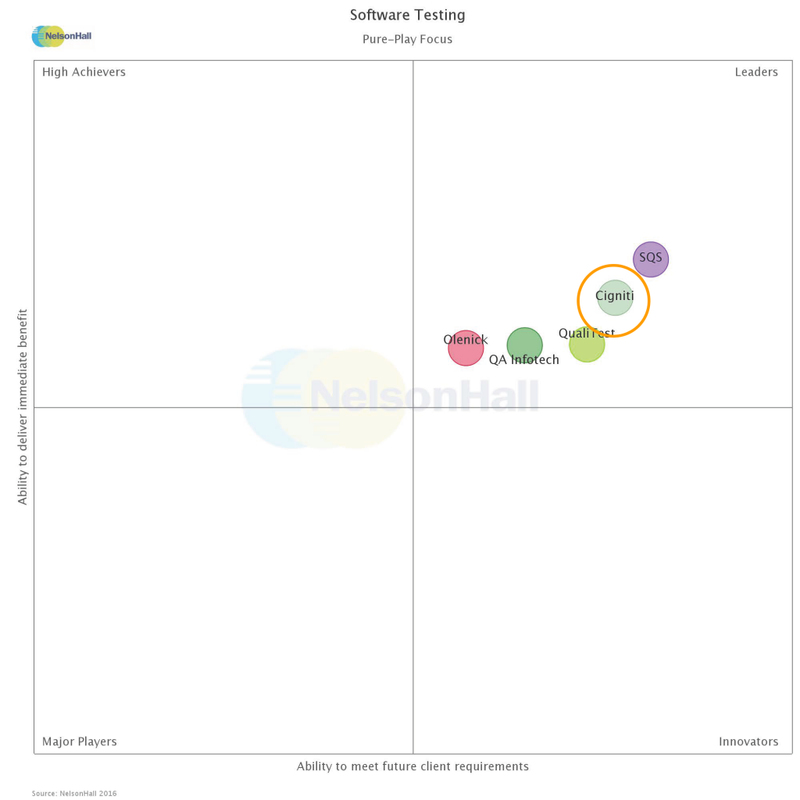 Cigniti Technologies is recognized as a Leader by NelsonHall, in the Pure-Play market segment in the NEAT report for Software Testing, 2016. 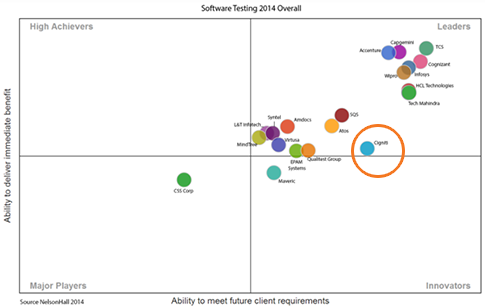 Cigniti has also been identified as a Leader in the Overall, Digital, and Consulting market segments. 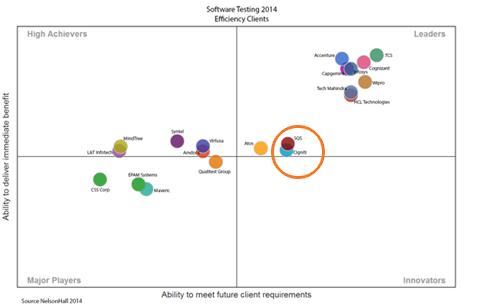 According to NelsonHall’s 2016 Cigniti Software Testing profile by Dominique Raviart, IT Services Practice Director, “Cigniti’s visibility among testing pure-plays is a strength: with its 1,800+ career testers, Cigniti is the second largest software testing pure-play by headcount”. Dominique further added that “Cigniti continues to develop IP and accelerators, like SMART Tools, Migration Tools (QuickLean, Migrate2Selenium) and new age DevOps Dashboard, Agile & Digital IPs. This is in line with NelsonHall’s view that the future of the software testing industry is about complementing testing tools with proprietary IP and platforms”. This Overall assessment represents a composite view of Cigniti’s positioning, taking into account positioning in other market segments, principally Efficiency Clients and Transformation-Focused Clients. 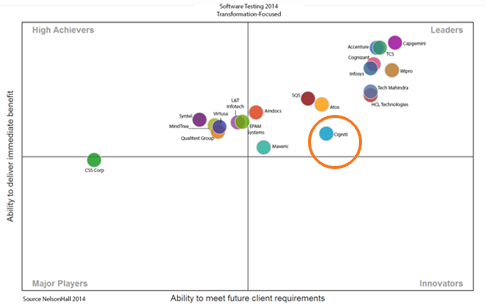 Transformation-Focused clients want to ensure the success of a major internal application rollout initiative by allocating the right level of testing resources. Please use a valid email. We’ll send a download link to your inbox. 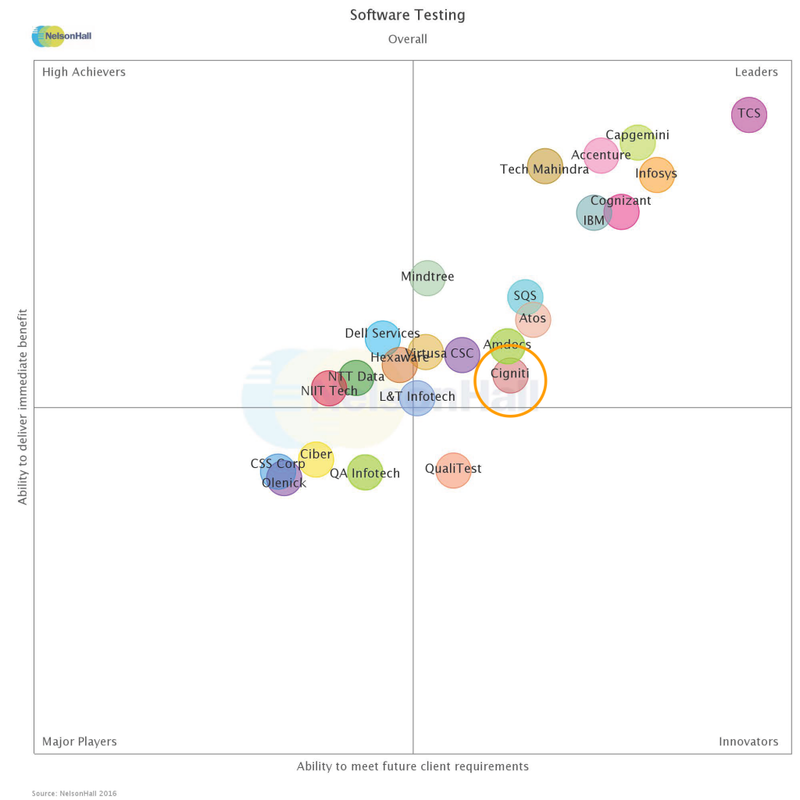 “According to NelsonHall’s 2016 Cigniti Software Testing profile by Dominique Raviart, IT Services Practice Director, “Cigniti’s visibility among testing pure-plays is a strength: with its 1,800+ career testers, Cigniti is the second largest software testing pure-play by headcount”. Dominique further added that “Cigniti continues to develop IP and accelerators, like SMART Tools, Migration Tools (QuickLean, Migrate2Selenium) and new age DevOps Dashboard, Agile & Digital IPs. This is in line with NelsonHall’s view that the future of the software testing industry is about complementing testing tools with proprietary IP and platforms”.